Ta kontakt med de levande i det här magiska PS VR-exklusiva spelet. Ge dig in i en värld full av mysterier i det här oförglömliga PlayStation VR-äventyret. Vad för oförglömliga mysterier kommer du att upptäcka i det här PlayStation VR-exklusiva äventyret? I Déraciné är du en ande på en enslig internatskola, och du måste inte bara bevisa din existens, utan även skapa en unik kontakt med eleverna. Res genom tiden för att ändra elevernas öde och utforska skolan för att samla ledtrådar, lösa gåtor och utföra uppgifter för att få kontakt med personer omkring dig. Vilka mysterier ska du avslöja i det här PlayStation VR-exklusiva äventyret? Vad kommer du att upptäcka i det här oförglömliga PlayStation VR-äventyret? It’s once again time to check out this week’s new arrivals on PlayStation Store. Join Agent 47 in a new series of missions, make friends as an invisible faerie and join a biker gang and blow alien robots to pieces. All this, plus the rest of this week’s new arrivals are detailed below! 1. Hitman […] The post New on PlayStation Store this week: Hitman 2, Déraciné, Tetris Effect and more appeared first on PlayStation.Blog.Europe. 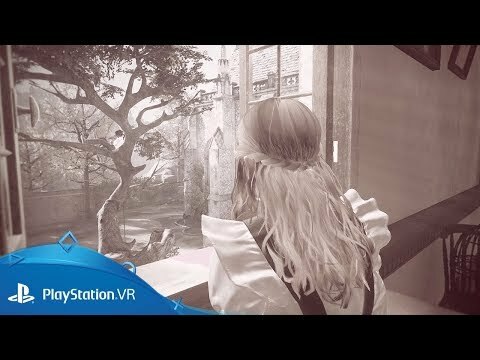 Déraciné launches tomorrow, exclusively for PlayStation VR! We’re big FromSoftware/Japan Studio fans around these parts, so we reached out to Hidetaka Miyazaki himself to learn more about this intriguing new collaboration. Read on for a new interview about the inspiration behind the project, how FromSoftware took their first steps into virtual reality, and more. PlayStation.Blog: […] The post Bloodborne’s Hidetaka Miyazaki on his “unique affection” for Déraciné, his PS VR debut out tomorrow appeared first on PlayStation.Blog.Europe. Hi, this is Masaaki Yamagiwa, the producer on Déraciné at Japan Studio. 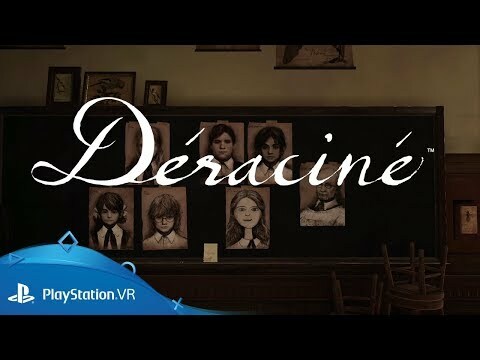 The PlayStation VR* adventure game Déraciné, co-developed by Japan Studio and FromSoftware, will soon release on 6th November, 2018. The story is set in an old secluded boarding school, where three boys and three girls live with their aging headmaster. Players will take […] The post Everything you need to know about Déraciné, the unique PS VR adventure from Bloodborne’s creator appeared first on PlayStation.Blog.Europe. In retrospect, 2018 has been a banner year for Worldwide Studios, with great games like God of War, Astro Bot Rescue Mission, and MLB: The Show, as well as other PS4-exclusive games – each of which demonstrate what makes PlayStation the best place to play. But the Worldwide Studios team is hard at work. We […] The post PlayStation’s Worldwide Studios’ release line-up: the next wave of PS4 games appeared first on PlayStation.Blog.Europe.